Achinduin Castle in the south west of Lismore was built around 1300 by the MacDougalls, who were the dominant family in the West at that time. It is one of a chain of stone castles by which they controlled the coastline of Argyll, from Dunstaffnage to Lismore and the Sound of Mull. It is widely known as the “Bishop’s Castle”, but this may only refer to the documented occupation of the already ruinous building by Bishop George Lauder when he failed to regain control of the cathedral in 1452. Funded by the Society of Antiquaries of Scotland, Dennis Turner carried out an extensive archaeological dig of the castle site between 1971 and 1974. After a very long delay, the results of the dig have now been published and the finds were awarded for safe keeping to Lismore Museum by the Treasure Trove Panel in 2016. The collection includes several hundred objects, mostly rusted iron (many nails from the disintegration of roofs, door and other wooden structures), but there are some outstanding items (mainly from the 14thC), giving some insight into life at the castle. The coins found scattered around the site, and not as part of a cache, include 12 English silver pennies from the reign of Edward I (1272-1307), widely used because of a shortage of coins minted in Scotland; a John Balliol (1292-1296) penny; a David II (1329-1371) groat; and 3 Robert II (1371-1390) coins, goat & half groat. 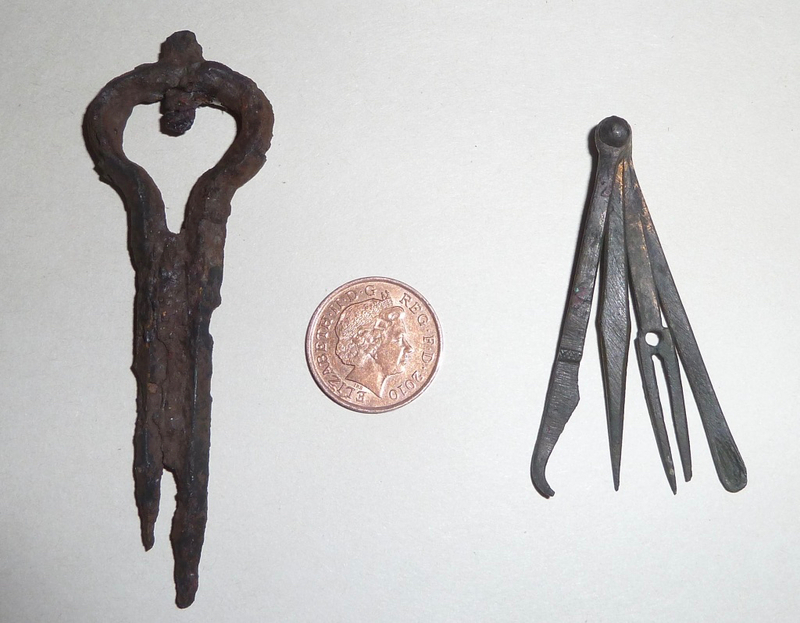 The identifiable iron objects include arrow heads, Jew’s harps and a padlock. 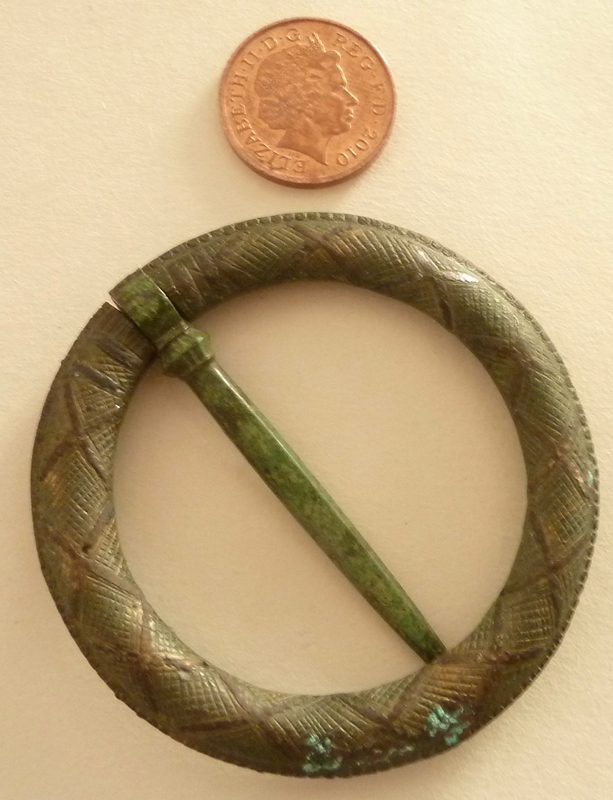 Amongst the better preserved bronze objects are a fine late medieval enameled ring brooch and a “multi-tool” – a toilet kit for cleaning teeth, nails etc. 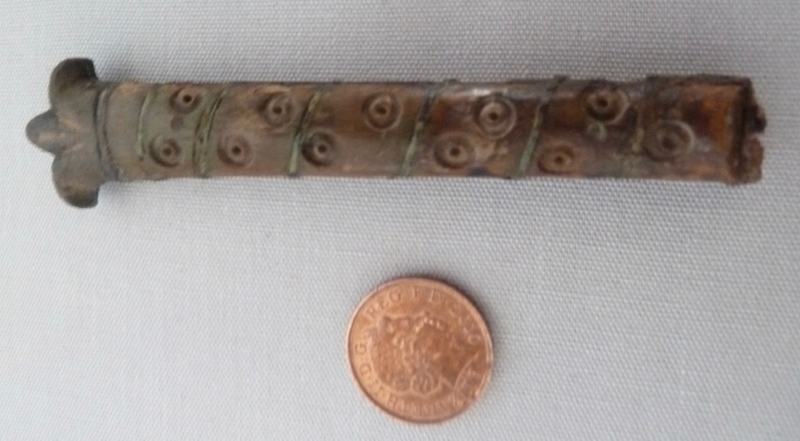 The collection also includes what appears to be a 16thC knife hilt decorated with fleur de lys, although there is no record of where it was found. The Achinduin artfacts will form the centerpiece of a major display on the MacDougalls to be mounted in 2019, as part of MacDougall Clan celebrations. Caldwell DH, Stell GP and Turner DJ (2015). Excavations at Achanduin Castle, Lismore, Argyll, 1970–5: findings and commentary. Proc Soc Antiq Scot 145, 349-369.